Give yourself a fright, and brighten up your room with this fun 3D Boo light! 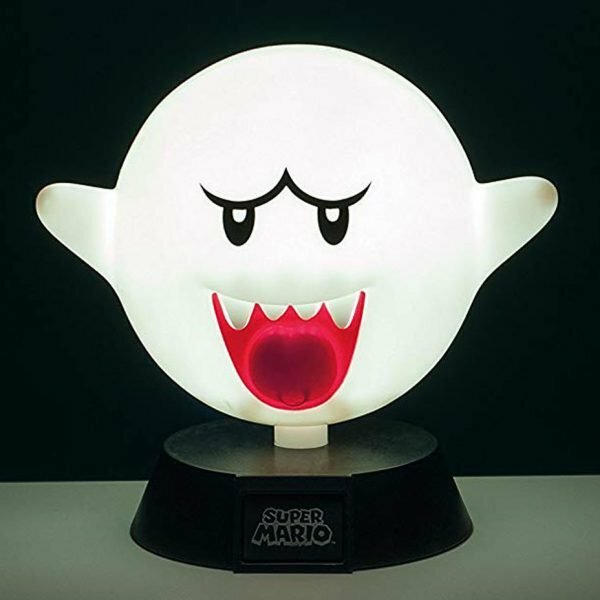 This lamp features Boo, one of the scarier villains from the Super Mario franchise and makes a great piece of memorabilia and gift for fans of the game. The best solution for charging your Nintendo Switch Joy-Con controllers and keeping track of them! This handy charging station can also customize the station to charge one pro controller and two Joy-Cons at the same time. These sleepy Dratinis are dreaming of a getting adopted by a Pokemon Trainer! They’re handmade out of super soft minky fabric and stuffed with polyfiber fill and also feature floppy ears. You can even order a shiny version too! Do you like to smash your brothers? Do you like to smash people who AREN’T your brothers? If the answer is yes, then this necklace is right for you! A perfect accessory for any action driven Super Smash Bros fan. Step up your ocarina game and play all your favorite Zelda tunes like never before! This Hylian Shield ocarina is made from high-grade ceramic and comes in a display box. Also includes a free tutorial and songbook! Make Charmander come alive by keeping a special place in your pocket for the most adorable fire Pokemon. Once flicked on, the little starter Pokemon will burst a flame of fire from his mouth. A must have part of every fire-type trainer’s essentials! Have you defeated every Gym Leader and still have some room left to fill on your jacket? 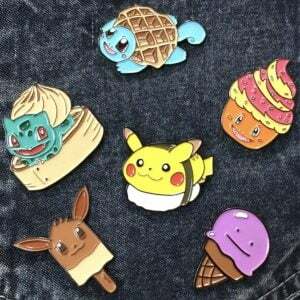 Look no further than these hilarious Pokemon foodie pins! Each comes in a parody of your favorite Pokemon mashed up with delicious snacks and treats. Stop guessing what games you have by reorganizing your collection so you never need to fish for the one you want again. This complete set of cartridge end labels includes all 296 titles, making it easy to alphabetize your collection. Proudly display your favorite companions with these trio Pokemon evolution pins! These impressive custom made, hard enamel pins are a much needed addition to any Trainer’s backpack, hat or extensive pin collection. Now you can brand the Triforce onto anything you like! This steel branding iron snaps right onto any standard Bic lighter, allowing you to it heat up and burn whatever you desire. Just don’t use it on a Deku Shield or you may lose it! While Ditto may be the best Pokemon when it comes to breeding, he hasn’t always been the most popular plush toy. So Ditto has transformed into some of your favorite Pokemon in a desperate hope that you’ll take him home. Honor the Goddess Hylia in your home or garden! This beautiful Statue of the Goddess makes a fantastic collectors piece for any Legend of Zelda fan. 3D printed and available in either a white or stone finish. Express friendship with a bestie or your soul mate’s love for each other in a truly unique and geeky fashion! Once combined, these keychain and necklace charms form a full Heat Container which glow even in the dark. Bathe old school style with the retro gaming shower curtain! This curtain looks like the cover of a classic game cartridge, with a transparent panel so you can be the star of your own epic adventure of Super Shower Time. No other Pokemon Christmas sweaters can quite channel the holiday spirit quite like these ones! 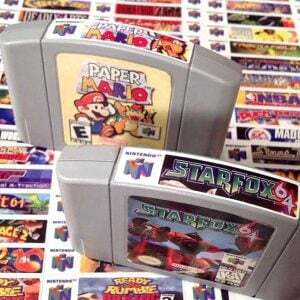 Each sweater pattern is in the style of the original Game Boy games with their respective colors and starting Pokemon. Gotta Stitch ‘Em All! Pay tribute to the original Nintendo Entertainment System with this sterling silver d-pad necklace! This pendant was cast from an original NES controller directional pad for a subtle way to show off your Nintendo pride! Build your very own house of worship in homage to the video game legacy that is the Legend of Zelda! This set of five easy to apply decals look just like stained glass windows and will make a great addition to your personal little video gaming temple. Decorate your desk or side table with an adorable Pokemon aquarium! These hand sculpted clay Pokemon are cast in clear resin, each with a random and unique design. Custom orders available for your favorite choice of water-type Pokemon!